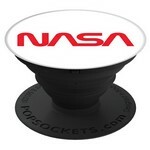 Sometimes a phone or media stand is exactly what will make an impression on a potential customer. Your next convention's swag table will benefit from promotional cell phone selfie sticks and media stands that brag about your goods and services. And printed telescopic selfie sticks are always great for giving out to clients and prospects. 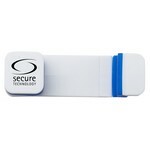 We've got options for every one of those situations, and all fully customizable with your company's branding and logo. The branded Bluetooth Selfie Stick is lightweight and can extend up to 3.3 feet away. 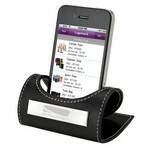 The Clam Cell Phone Holder is a curved cell phone holder that can hold your smart phone or digital music player. 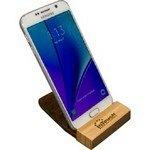 Our Bamboo Phone Stand features eco-friendly crushed bamboo construction, Customizable with your logo for Brand Recognition. The Gadget Grips® GripRing Stand uses 3M adhesive to adhere to the back of your device and can be used as a stand or tether. The unique ring flips out while in use and can be snapped back in to place to store. 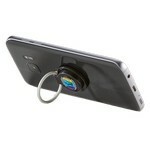 The Hands-Off Vent Phone Holder features silicone grip that holds the phone securely and allows adding logo and message to Promote your Brand. 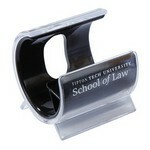 Our OnIt Mobile Phone Stand features easy viewing capability when it doubles as stand, Customizable with your brand logo. 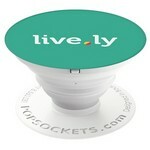 Compact in design, these holders can be placed anywhere. Fold-flat design optimizes space when mailing the item, storing it or moving it to a new location. 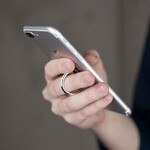 The Aluminum Cell Phone Ring and Stand features customization ability to create Unique Promotional Products and allows easy holding and hands-free viewing. 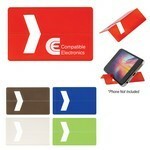 The Card Size Phone Stand features wide variety of color options, Customizable with logo to Promote your Brand. 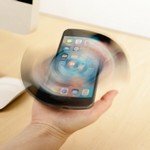 The SpinSocket uses 3M adhesive to adhere to the back of your device which turns it into a fidget spinner. 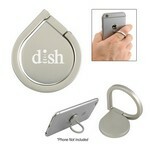 The unique ring flips out while in use and can be snapped back in to place to store.